JetBrains dotMemory is a .NET memory profiler designed to be launched right from Visual Studio or as a standalone tool. "Father of memory leakage doctor and memory optimization using in net." In .net we used to write lots of code and much more lines are there ,there is chance always memory leakage in verified software means when we release one product in market many times memory leak happens that is very hectic and panic situation for company.I love its identification of garbage memory and utilization.Good tool help to code optimization. . Cost is high ,help section need to be change like everyone should take chance to verify and moderate program.In windows 8 that is not installed properly.some of dislike is there . If cost is little bit less good for students for practice. Memory is main things in programming ,we should always try to remind all memory are useful if any dump and garbage file is available that is not good for a good programmer ,if we use that dot memory tool we easily to know how where memory leaks and adjust or moderate memory as we thing ,and product will be good for future time. Solving many problems ,we are basically solve and create and design many products in .net ,lots of codes are contains many times in real time program application saw memory leak is there that is bad portion for us and we are tensed but dot memory tool clear all types of error.very good application to use and rectify problems and memory leak. "Great tool for Application memory analyzation"
It does not provide line-level timings, group by http request, Hot Spots and also the alternatives have soem nice data presentation, making sense of the data collected, and also the speed something becomes a problem as well. Interface is not intuitive, it takes a lot of dabbling to get used to how it works. Also, doesnot provide memory consumption form static and dynamic assemblies. we are using the dot trace to get read of memory leaks in our application and make it faster and more efficient for consumers, and end users. "Optimize memory usage in the application"
exploring the tool I am liking all the features still more to understand and implement in my application didn't find many drawbacks happy with the tool. very powerful .NET memory profiler that helps you optimize memory usage in the application, it helps to analyse the memory leaks and resolves other memory leakage issues. "Review for Dot Memory tool"
It's very useful tool to check the visual tree hierarchy of object. We can capture the screenshots of object life and on the basis of comparison we know which object still in use. Using this tool we know which object taken too much memory space and we need to destroy. We can run Garbage collactor forcefully to destroy the object. This tool taken too much memory space for installation. This tool is used to check which object taken too much memory space and we need to destroy. This provide us visual tree hierarchy structure for representation. "Jet brains dot memory tool"
Dot memory is very good tool to check the memory of a objects. We can create a profile and analysis the memory consumption. We can take memory screenshots and compare with each other, on the basis of we can analysis how much new objects are created and destroy. We can run garbage collactor to dispose the object. It has been taken too much memory space for installation. To create web and windows application fast and user interactive. because with the help of dot memory we can dispose unwanted objects those are no more used. "The best app to analyze memory "
When we code there are more memory leaked opportunity. So it it the terrible thing for developers. We can analyze that using this tool. We can view and manage memory in application. We can integrated with microsoft visual studio. There is a simple user interface. So easy to use. It is cost and can not use for java, python etc application. This is the best tool for memory analyzing in Dot net application. 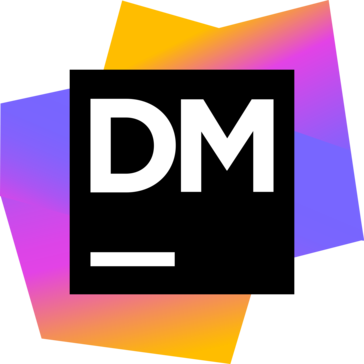 Once you begin the checking prepare, JetBrains dotMemory shows a timeline delineating a chart of the overall memory utilization, following each alter within the by and large sum of framework assets devoured. When we release product we had to face a memory leak problem of our application. We could solve that problem using this tool. "Review for Dot Memory "
It has been used to check the objects those are still in memory but never used from long time. On the basis of dot memory tool we can find the visual tree and destroy the object which taking too much memory. First time loading time is too high and taken too much memory space. This tool is very helpful to find the object which is taking too much memory space but not in use, on the basis of we can destroy it using custom events. "I really like this application is easy to use, practical and productive"
"Best tool for Coding Memory Tool"
dotMemory is a very good tool to check the visual tree hierarchy of the object and the memory of objects. "Experience with "dot Memory" "
This tool is very helpful while Comparing the memory snapshots which help to find the object which is causing the memory leaks. It helps me keep my computer updated by analysing the capacity of the memory. It doesn't provide memory consumption from static and dynamic assemblies. "Great for Coding Memory Tool"
Super easy to use, useful, and very helpful for analyzing memory. My company has used this for .net coding. Honestly, I have not heard of any bad feedback from my coworkers. This has been a helpful tool to help identify what is taking up too much memory on our computers. * We monitor all dotMemory reviews to prevent fraudulent reviews and keep review quality high. We do not post reviews by company employees or direct competitors. Validated reviews require the user to submit a screenshot of the product containing their user ID, in order to verify a user is an actual user of the product. Hi there! Are you looking to implement a solution like dotMemory?